My awesome, incredible, wonderful and very much appreciated husband got something marked off the to-do list that I’m very excited to share with y’all! Countertops are IN in the basement! Much better, huh?! And the really cool part–He got the local granite folks to give him an incredible deal on this stuff. It cost LESS than what Lowes was quoting us for laminate countertops. No joke. 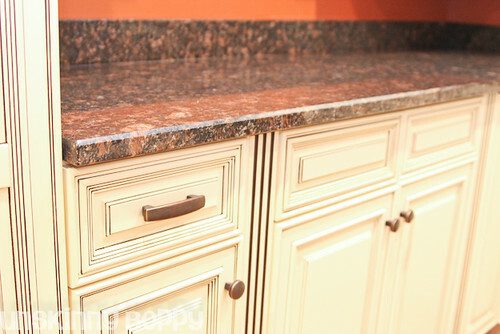 He chose this beautiful piece of coppery bronze/black/brown granite that goes perfectly with the cabinets and rust colored walls. Well done, babe! The man cave is almost complete. The popcorn machine is ready and waiting to be set up down there for a good movie night! I’m excited! Who wants to come by and hang out? gorgeous Beth! 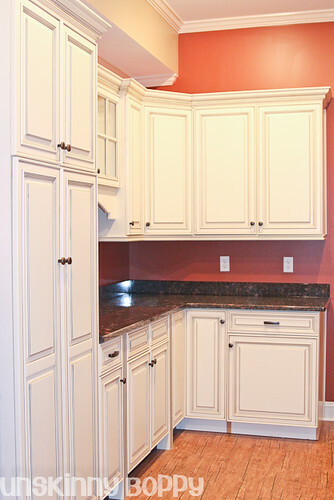 I love the cabinets too. It looks a little short of the length of the cabniets in the last picture. Must be the angle! LOVE!!! They are gorgeous, Beth! What a great deal. WOW! It’s perfect with your colors too. Congrats. Oh, wow! It’s always good to check the local suppliers! You might just get a great deal, like you did…and your dollars stay in town! 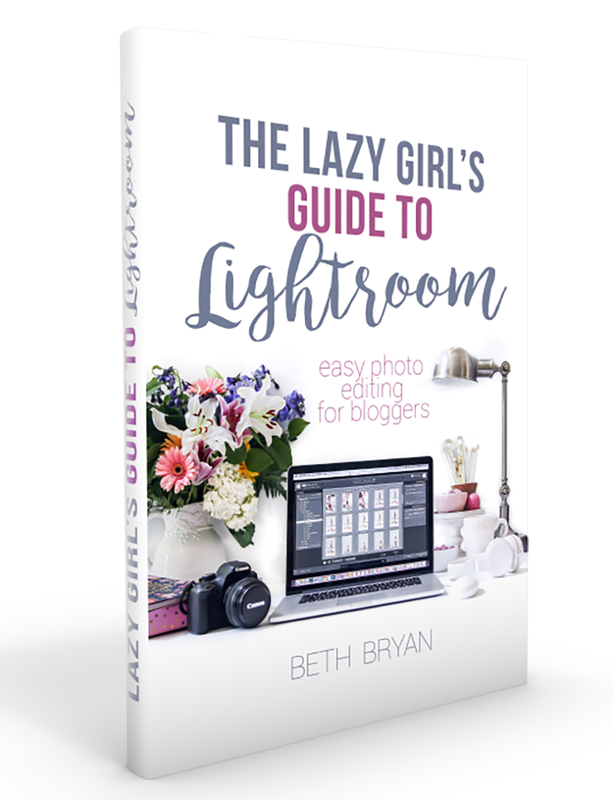 It looks amazing, Beth! Looks fantastic! Whats the first movie going to be? Those are stunning! I don’t think you could have picked a better match for your paint color. Just noticed the new blog design! Looks awesome!!! The modern American home is becoming more stylish than ever before. With the number of colors and finishes growing every year it makes sense to choose products and finishes that will give a home that timeless look. 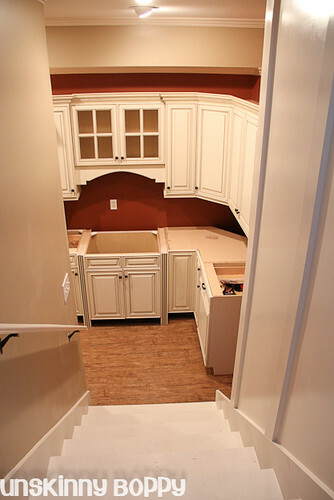 From the bathroom to the kitchen, the right choice in home finishes can be a reflection of style and sophistication. 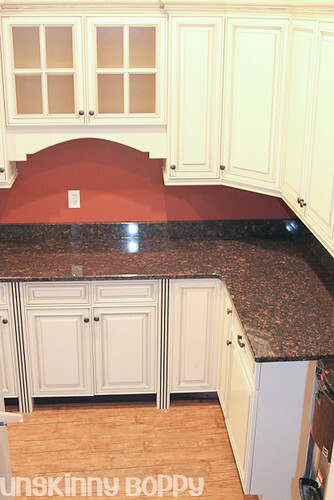 The granite counter tops are just gorgeous. 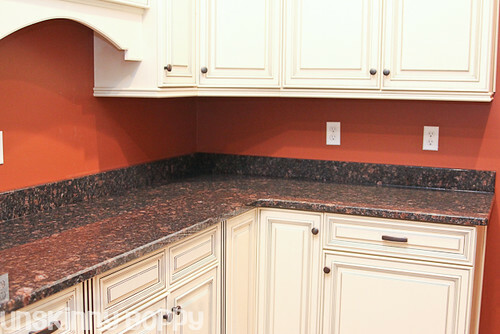 I have been redoing my basement and am in the process of picking out granite counter tops. After viewing a man cave store online, I was finally convinced to allow my husband to contribute his new card and pool tables to my basement, as long as I got to pick the furniture and counter tops. I am completely find with this compromise.